This week bloggers participating in Summer Fest 2012, a season-long garden party, are creating delicious recipes using peaches. How our family loves peaches! And the beautiful colors found at the local farmer’s market are simply incredible. How thankful am I for my senses which allow me to taste, see, smell and feel all of the fresh flavors of summer. I’ve been craving muffins for breakfast lately, but not just any muffins. I’ve had a hankerin’ for these streusel-topped peach muffins. 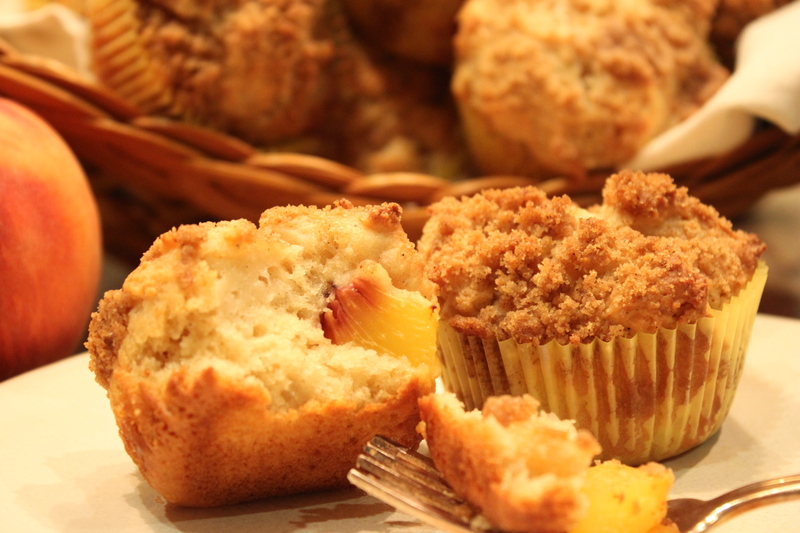 I love making muffins for my family because they can be made in advance and easily frozen (if you have any leftovers…smile…) Our family loves these peach muffins because they are not overly sweet and the streusel topping adds such a nice texture to these deliciously moist muffins. Cardamon. I had not used cardamon much in the past, but being a spice fanatic, I did have a bottle in my spice drawer. I credit bakers and authors Cheryl and Griffith Day for my new love affair with this spice. A bit of this cardamon added to the muffin batter and then the streusel topping made this already fantastic muffin recipe even better! The union of this peach muffin and a little spread of my peach butter was a marriage made in Heaven. Preheat your oven to 400 degrees F. Grease 16 muffin cups and set aside. In a medium-sized bowl combine flour, baking powder, salt, baking soda and cardamon. 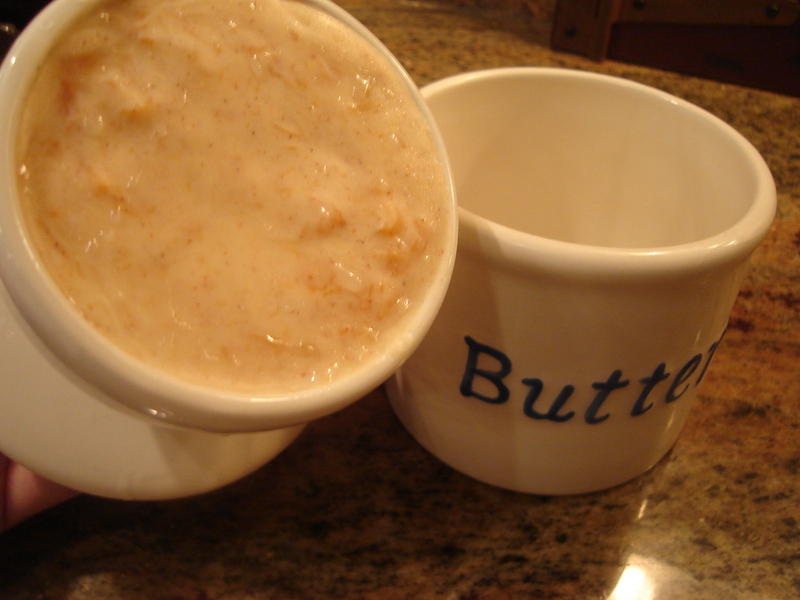 In another medium-sized bowl, mix together egg, sour cream, brown sugar, milk and oil. Stir in peaches. Make a well in your dry mixture and add peach mixture. Stir just until combined. Divide your muffin batter between 16 cups. The batter should be approximately 2/3 full. Make your streusel topping by measuring out flour, brown sugar, cinnamon and cardamon into a small bowl. Cut two tablespoons of butter into your mixture until it resembles coarse crumbs. Sprinkle streusel over each muffin. Bake for 25 minutes or unitl a toothpick inserted in the center comes out clean. All that’s left to do is pour yourself a cup of tea or coffee and enjoy! 7 Comments on "Streusel-Topped Peach Muffins with Peach Butter"
I love the sound of cardamon in these peach muffins Elise! I’ve never made peach muffins, but they sound and look fantastic. I’m used to cardamon in German Christmas cookies – love it!